For more than four years, Chef Fabrice Salvador has been overlooking The Place d’Armes Hotel’s kitchens. A beautiful path wandered, with upcoming news and still future projects to be unveiled. Three restaurants, three atmospheres, three culinary offers; ONE strong identity. Constantly looking for Luxembourgish producers who work with passion and respect is the Chef’s credo. 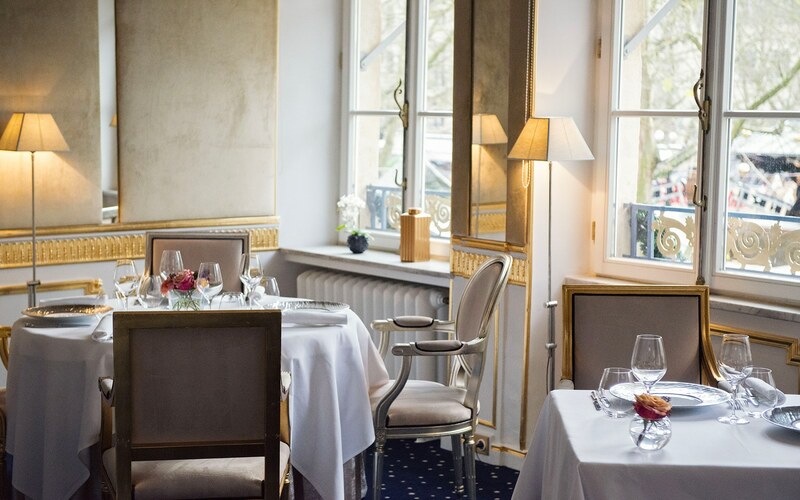 As the Gastronomy Director, he oversees, the Gourmet Restaurant La Cristallerie, one Michelin Star, 16/20 and 2 Toques at the Gault & Millau, The Plëss Rôtisserie and the Café de Paris Bistrot. Fabrice was inspired and trained within some of the most prestigious French restaurants: l’Aubergade in Puymirol (3*), Les Jardins de l’Opéra (2*) in his native town of Toulouse, Troisgros (3*) in Roanne, les Trois Marches (2*) in Versailles and Michel Guérard (3*), in Eugénie les-Bains. Then he lived what he likes to call his «American Dream» in New Orleans and Santa Barbara. During these journeys he learned how to match products of exception with the spices he was finding and so was born his very own style: experiencing the pleasure of discovering. At La Cristallerie, where golden leaves and Art Nouveau stained-glass windows set a «Grand Siècle» atmosphere, the Chef Fabrice Salvador suggests a true cuisine made with all his heart. This is the gourmets rendezvous in Luxembourg! 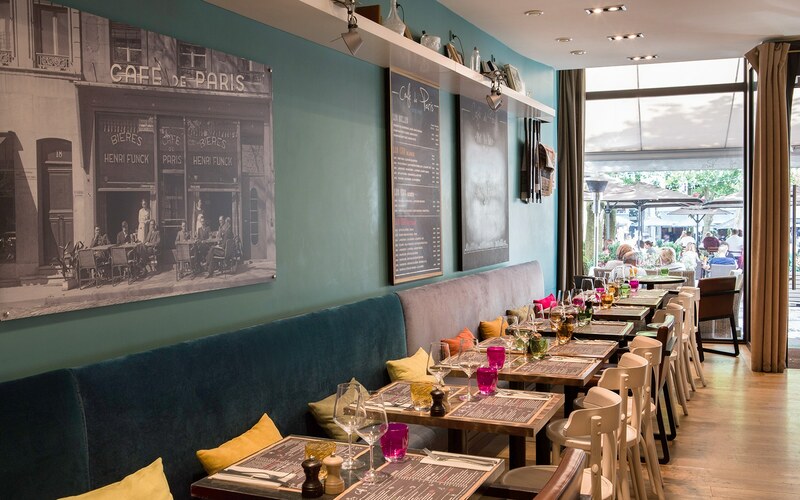 Living along the city rhythm, the Café de Paris welcomes easily families on Saturdays, regulars every morning to share a coffee with and as a real Parisian bistro greets exhausted workers at the end of the day for the truly deserved after work. Cocktails, Tapas or delicatessen boards, are more than welcome in order to blow off some steam in good company. 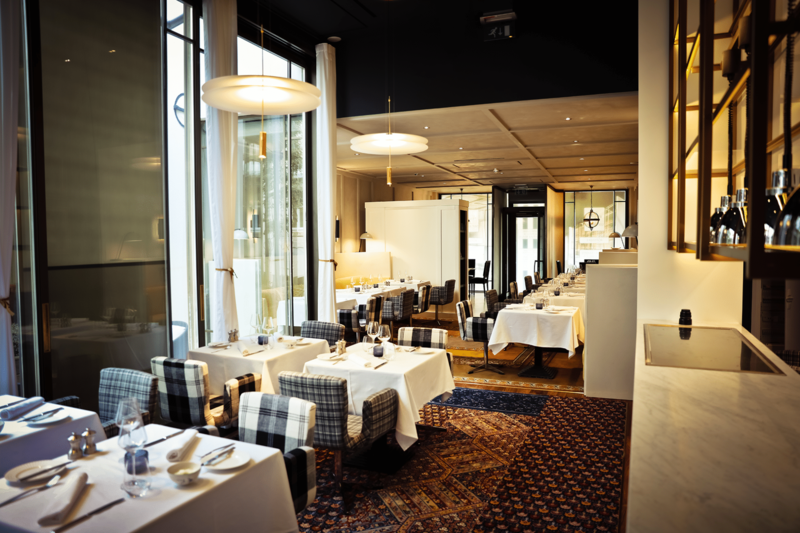 Enjoy the brand new Plëss Rotisserie and its elegant atmosphere designed by Tristan Auer. Every day discover our grilled meats and a large selection of fish crudos. The kitchen and the rotisserie are set in the middle of the room, in permanent contact with our guests. 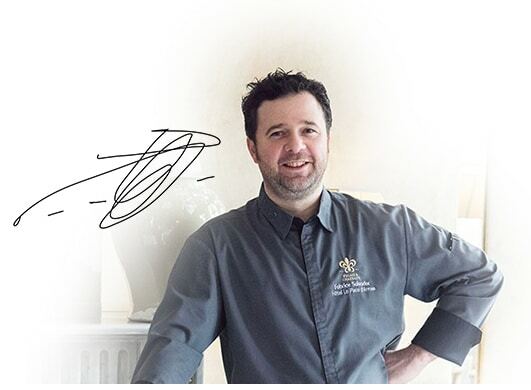 Fabrice Salvador is inspired by the seasons, making the most of his cuisine about the taste. Nominated Sommelier of the Year 2017 by Gault & Millau, Olivier Schanne’s passion is all about finding rare and new wines to complement each dish with a right and fruitful accord. Tailor-made experience guaranteed. The restaurant is opened for lunch and for dinner from noon to 2.00pm and from 7.00pm to 9.30pm. La Cristallerie is closed Saturday for lunch and on Sundays and Mondays, (except for privatization). The Plëss welcomes you every day in an elegant and warm atmosphere. In this brand new Rotisserie opened on the Place d’Armes and extended with a comfortable terrace, we suggest roasted meats and fish crudos, one of the Chef’s specials. Opened every days from 7.00am to 10.00pm. Reduced menu from 2.30pm to 7.00pm. As if you were in a South-West Café, traditional dishes and good wines are to be discovered in a friendly atmosphere at the Café de Paris. We do share everything at The Café de Paris, the stories, the terrines, snacks and above all Fabrice’s Cassoulet during winter.